Clear Your Clutter Day is Today! My friend Nettie Owens, a wonderful organizer, is the owner of Sappari Solutions. A local organizing organization that can help you get your life, home and/or office organized. She has helped to spearhead Harford County’s Clear Your Clutter Day. If you are local to the area and have household items that you are planning to clean out of your house, consider participating in this worthwhile event. Check out the event website and see what the sponsors will accept and head on over the Harford Community College! Liz had a neurology appointment on Friday. Since this all began in February of 2010, Liz has had horrible headaches. She had some relief from the pain after the initial surgery in February and then again with the revision surgeries in June. Lately the headaches have been getting worse. There is a test that is done called a shunt patency test. Dye is injected into the shunt and the x-rays are taken to see how long it takes to drain. The last time Liz had one it took 14 minutes, it should take under 10 minutes. No one had told us about this delay, but since the headaches have steadily been getting worse, so it is now a concern. Shunts have settings, or openings, to allow for the different speeds of draining of the cerebral fluid. The doctor adjusted Liz’s shunt to the lowest it can possibly go. So now we will see how it drains over the next week. She goes next Friday for another shunt patency test to see if the shunt adjustment has worked and the shunt is draining faster and better. I had to ask the question of what happens if it isn’t doing better. The doctor said let’s not borrow trouble. I HATE when people say that! I hope you have a wonderful rest of your weekend. I admit I have a fermentation issues. I think I have killed them all: kombucha scobies, milk kefir grains, water kefir grains and sourdoughs. I can’t get them to go, or they go moldy on me. So I consider myself fermenationaly challenged. Sourdoughs do not start in my house on their own. I don’t think there is enough wild yeasts in my home. But I love sourdough and I am going to try it once again. This time I am going to start it with the horror of white flour and add a yeast to it, but I am going to use organic red grapes to provide the yeast. I will use Nancy Silverton’s Grape Sourdough Starter. Once the starter is well established, I will start feeding it with whole wheat flour to have it transition to a whole wheat. I will start it this weekend and report back next week how it fared and if it still lives. The weather is fabulous here! The rain has FINALLY left the area and we have had sun and warm (actually HOT, think 85 degrees) temperatures this week. Of course that makes life interesting at the zoo. The kiddos do not want to sit down and focus on their work; they want to be outside running around. Can’t say I blame them. I am going to revamp the schedule and on good days give them all a couple of “recesses” throughout the day. One of my greatest joys all the way through middle school was getting the break, two to three times a day for recess. In our school system if the children get ONE 20 minute break day in elementary school, they are lucky. That was one of the reasons I brought the children home. I want them to enjoy life rather than being cooped up in building all day on nice days. What better way to enjoy spring, except by being out there in it. I still struggle with meeting the expectation of making sure they are progressing. I figure as long as they are working daily on the basics, they are progressing. Throw in science, history and art at least once a week each and we are good. Lord knows when Patrick was in school and struggling all he was doing was reading and math. He would have is regular classes and then be pulled out for “remediation.” He also had an after school reading program. No wonder by the time he got home he was D.O.N.E! And honestly, he wasn’t progressing there. He has made more progress the past year than he had in four years in the “box” school. A wonderful lady on my Catholic Moms board made a point when I mentioned my struggles there. She told me: Homeschool exists for the family, not the family for the homeschool. I strive to remember that daily. We homeschool for the benefit of the entire family, we don’t have to do school at home. I keep repeating this when I get caught up in the “but homeschool isn’t done” mode. Pack up your books kids and head outside. I will call you in for dinner! For the past five years the Washington Post newspaper has been had a contest for dioramas using those marshmellow peep critters. Here are this year’s winners. The past years are there too. Be prepared to waste some serious time and to laugh out loud. I am slowly working my way back to the traditional food lifestyle. One of the first things I need to go is get the “whites” out of the diet. The white flour, white sugar, and white rice. My family is BIG on sweets, we are definitely a dessert loving family. So right now I am researching alternatives to sugar and how to use them in the recipes we like. There are many good alternatives to white sugar that we can use. I am going to talk about probably one of the best out there: honey. Honey has been collected for over 10,000 years. Can you imagine the first man that tried the honey and tried to get others to try it. I can just imagine that conversation. Humans began to keep bees sometime in Ancient Egypt. 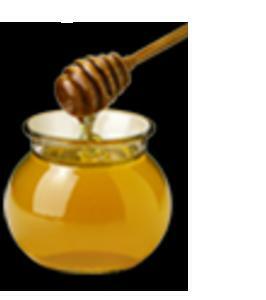 Honey is comprised of fructose and glucose. It also contains antioxidants, enzymes and trace minerals. If you can find raw honey from a local source that is wonderful thing. It will contain pollens from your area and can work wonders on seasonal allergies since it will act as immune booster and reduce your seasonal allergy symptoms. You should start taking 2-3 spoonfuls day a few months before your seasonal allergy symptoms begin. Natural allergy shots! Another interesting face is honey is the only food that never goes bad. Honey was found in an Egyptian tomb that was over 3,000 years old and it was still good. How is that for freshness! Finally, honey can cause things to brown much faster because of the sugar content. You will want to reduce the temperature in the oven by 25 degrees. I also love that you can get different flavors of honey depending on the the source of the pollen. Right now in my pantry I have wildflower, orange blossom, clover, strawberry and buckwheat. Sometimes I use honey to flavor the bread or muffin and then make a complimentary sauce, topping or glaze. It makes for a new depth flavor. I would encourage you experiment with a trusted quick bread or muffin recipe and see if you can discover the joys of leaving the white sugar behind. 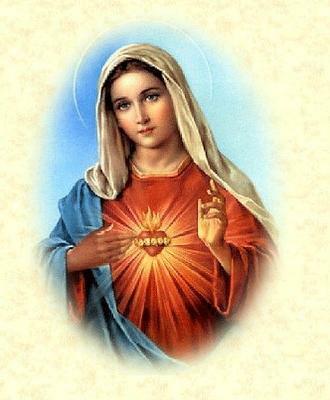 As a mother, I have and affinity with Mary, Jesus’ mother. I know my heart hurts when one of the children is hurt, struggling or just sad. I also rejoice when they are happy and joyful. I like to align myself with Mary in prayer. Her intersessions have never let me down. I may not get the answer I want from God, but after the crisis or season has passed, I can see His hand in the outcome. And it is almost a better outcome than that which I prayed. He is like that. One of my most favorite Marian prayers, other than the Morning Offering is The Memorae. It carried me through Andrew’s life, Elizabeth’s trials and my father’s illness last year. I invite you to try it when you are having difficulties.